Enhance your career with a Microsoft Azure certification. Microsoft Azure Infrastructure and Deployment (Exam AZ-100) is designed for Administrating the Azure environment by managing cloud services that span storage, security, networking, and compute cloud capabilities. You need the knowledge of Azure Portal, ARM templates, operating systems, virtualization, cloud infrastructure, storage structures, and networking. You also need to know how to Manage Azure subscriptions and resources, implement and manage storage, deploy and manage virtual machines, configure and manage virtual networks, and manage identities. 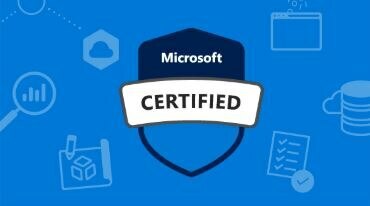 Our certification training will help you to gain excellent understanding on Azure services like Azure portal, Azure VM services, Azure App service, Azure storage, Azure networking, Azure load balancer, Azure traffic manager, Azure Resource Manager, Azure Powershell, Azure web app, Azure pricing and Best practices. Come, join CCS Academy to learn more and get certified.